Is the 6.5×47 Lapua the Next, Great Do-It-All Cartridge? 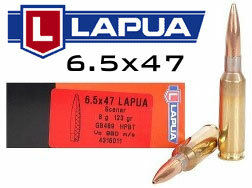 Lapua developed the 6.5×47 Lapua cartridge for International 300m competition. Lapua wanted a cartridge that could match the “pure accuracy” of the 6mmBR, but with even better ballistics and good barrel life. The 6.5x47L is now really coming into its own. In the hands of NBRSA long-range Hall of Famer Don Nielson, the 6.5x47L has won two NBRSA 600-yard Nationals convincingly. The cartridge is winning Varmint Silhouette matches, and Tactical competitors are finding the cartridge delivers great accuracy with much less recoil than a .308 — plus it feeds well from magazines. With advanced powders such as Alliant’s Reloder 17, the 6.5x47L can deliver surprising velocities, even with the heavy 139-142 grain bullets, though we still think the 130-grainers may be optimal for the cartridge. Don Nielson used Berger 130gr bullets “right out of the box” to win the NBRSA 600-yard Nationals, setting records in the process. In addition to its paper-punching abilities, the 6.5×47 Lapua is a capable hunting cartridge, delivering velocities that approach a .260 Remington with 120-130 grain projectiles. Considering all this — is the 6.5×47 Lapua the next, great do-it-all cartridge — a chambering that can win a benchrest match one weekend and harvest a whitetail the next? Responding to Lloyd’s post, British gun writer Laurie Holland analyzed the present and possible future of the 6.5x47L cartridge. Laurie makes some very interesting points, considering the role the 6.5x47L may play in F-class competition, and in 300 to 600-yard benchrest. Laurie’s post is worth a read…. “Lloyd, you may well be right on this. There is that intangible something issue though that sees one cartridge become ‘great’ in a shooting field, while others that should theoretically compete somehow never quite get there. The example that comes to mind is the PPC in short range BR of course[.] The PPC outshoots similar rivals, and we don’t know why. At the moment, the 6BR and BRX/Dasher variants look like they may be getting to the same point in 300 to 600-yard BR type competition. That’s not to say they won’t be pushed out of the top spot by something better, or even matched by a rival, but it looks like it won’t happen quickly or soon. One thing people often forget is that BR can see 5 shots rattled off in under 30 seconds while the wind conditions hold. F-Class or any other form of deliberate, marked-target shooting is different because of the enforced gap between shots. This is particularly so on our side of the Atlantic (or north of the 49th Parallel). Unlike your F-Class, Fullbore, Palma, CLRP etc. shooting, we British Commonwealth types are squadded two to a target (sometimes up to four in local shoots) and there is therefore a minimum three or so minutes between taking each shot by an individual shooter. Fairly typically, I shot in a club 600-yard F-Class comp last Sunday and found myself with two others on ‘my’ target. Throw in one of them missing with both sighters and the resulting delays while the RO had to be asked for the target to be pulled and checked and people looking for his subsequent fall of shot and it took around 70-75 minutes to get through 2 sighters and 20 score shots. So each shot is virtually a new start so far as the wind-call goes. 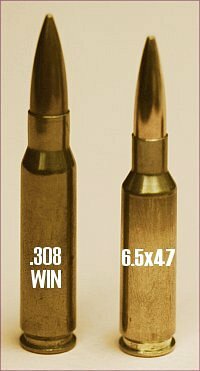 So, accurate and ballistically-efficient smaller cartridges that give long barrel life have a bright future in European and British Commonwealth shooting, and I think the 6.5X47L is going to be a key player in this role. Also, as in the USA, many people want a multi-purpose longarm, and this cartridge is an excellent long-range fox/crow round and ideal for most of our deer species too. 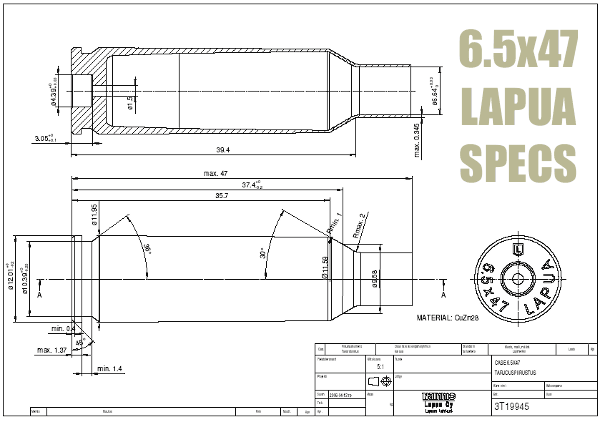 Share the post "Is the 6.5×47 Lapua the Next, Great Do-It-All Cartridge?"